While working on one of my personal projects, I came across the need to use a graph or two for displaying some information to the user. Unfortunately, no matter how hard I looked, I was unable to find a graphing library that looks good. So, I decided to make my own! 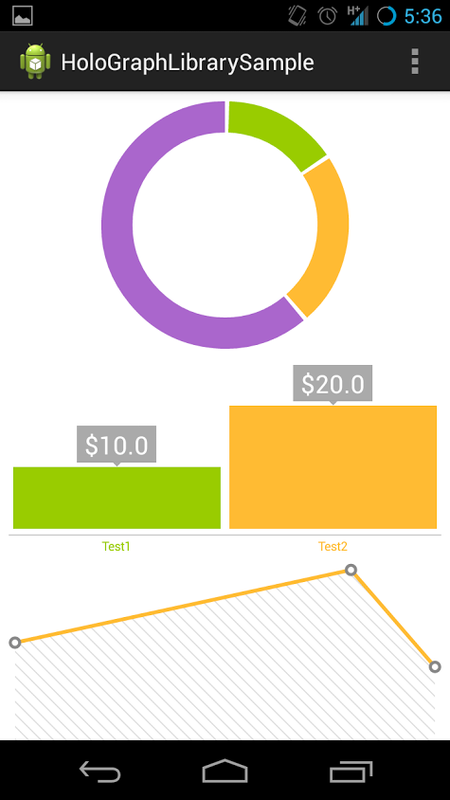 This library is an open-source set of graph types that are easy to add to your app, and in addition, look gorgeous. 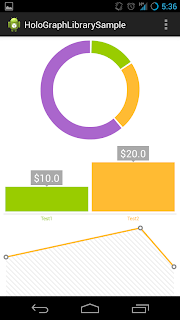 Themed in the much-loved Holo style of Android, the graphing library should fit in with any of your modern, standards-compliant apps. The library is available on BitBucket, free to download and modify to your pleasure. But please, be kind and add a link in your about page!